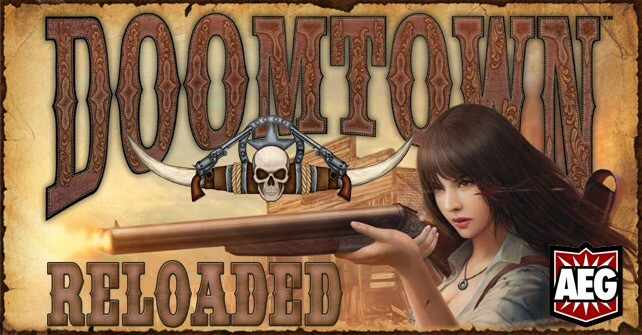 I talk about my newly discovered love of Doomtown: Reloaded in our ‘at the table’ segment on episode 83, but I thought it worth providing a more detailed review here – there just wasn’t enough time to say everything that needed to be said on the show. 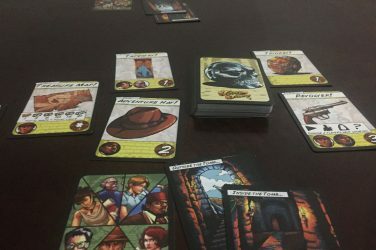 Doomtown: Reloaded is a wonderfully thematic Wild West card game that is good enough to make the suffering through the difficult learning process worthwhile. I recommend this game for everyone on the sole condition that they are willing to stick with it through what might be the most punishing learning curve I’ve encountered in a long time. I won’t sugar coat it – it is going to be a rough ride into Doomtown, but the game is so expansive to be worth the effort. But the real shine of Doomtown: Reloaded’s theme comes from a truly unique spin on resolving conflict and combat. All cards in Doomtown come with a number and suit (as a deck of standard playing cards), and most key conflicts in the game are determined by drawing the top of your deck and playing a hand of poker. I can’t think of a better way to handle conflict in a Wild West game, and because of this the game always plain feels right. Oh man, there is just so much going when you sit down to play Doomtown: Reloaded. 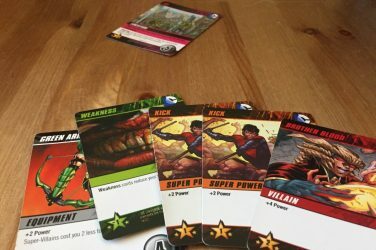 There are so many different abilities, powers, and counters in the game that every round holds a surprise or two. Once you are familiar enough with the rules to play smoothly, there is never a dull moment. But there is even more going on before you sit down to actually play. Like most games of its kind, the real Doomtown lives in deck creation. 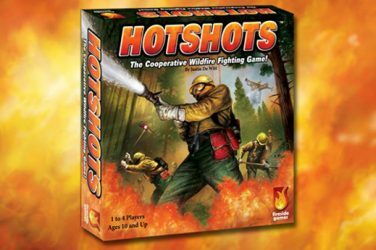 But Doomtown brings some extra firepower over the typical considerations of balancing cost and power, creating synergies, etc. – the use of poker hands to resolve conflict means that paying attention to card suits/values is critical. This leads to considerations of draw structure as being key to constructing a good deck, and opens just one more way to optimize you deck. I won’t say much more here, but check our the strategy guides and design diaries that the Doomtown team posts for more. Doomtown: Reloaded has an amazing organized play circuit, the Badge Series. You can win metal deputy’s/sheriff’s/marshal’s badges, which are awesome. There really isn’t much more to say than that. Check it out for yourself at the above link. Doomtown has a pretty rough rule set, there is no getting around that. 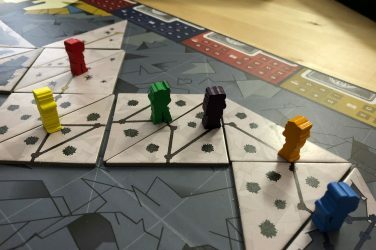 Part of this is due to prioritizing theme over clarity in the rulebook and key terms, but there are more serious systematic problems that get in the way of game play. 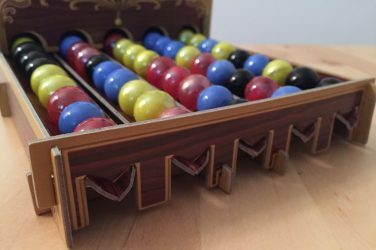 The game introduces a large specialized vocabulary and a somewhat complex play structure that don’t always align in an intuitive way. Important rules clarifications are buried in overly elaborate descriptions of basic play, the introductory/learning game is only minimally useful in learning how the game plays, and card effects are often deeply ambiguous. Expect a lot of rulebook referencing, forum checking, and errata reading while learning and playing this game. You’ll get used to it after a while, but it will stall play, cause frustration, and limit enjoyment for longer than it should. Once you get the hang of it, it won’t bother you as much – but I still find myself explaining some rules with a sigh and “That’s just the way it is. I know it doesn’t make sense”. 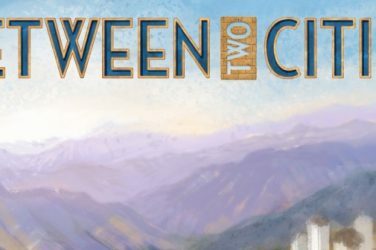 The Doomtown rules could use a thorough revisiting, and I think it would be relatively easy to refine the rule set to eliminate a lot of this confusion. Doomtown: Reloaded’s intimidating learning curve and clumsy rule set are the only downside to an otherwise fantastic game. You’ll be missing out if you let this scare you off. This is some of the most fun I’ve had in a long time, and Doomtown: Reloaded may be the first game in years to get me to consider reentering the gaming tournament world. I know it is a rough learning process, but give it a shot anyway. You’ll be glad you did. As always, let me know what you think of this review in the comments below. What have your experiences been with Doomtown: Reloaded? Are you a greenhorn just starting out, or a veteran with the badges to prove it? What’s you favorite faction, and what rule (if any) would you change to improve the game?